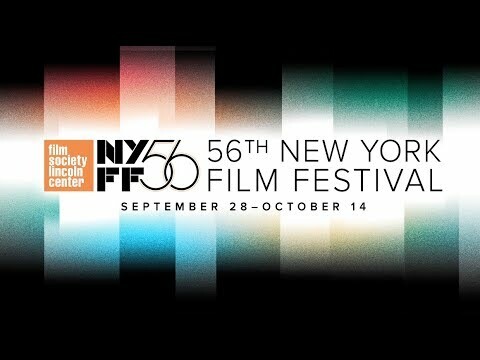 I’m over the moon to be joining this select group of artists at NYFF this year. See the entire lineup HERE. World premiere of No Traveler Returns at the 2019 SBIFF. It was a blast! Shared Best Performance with Tina Huang from Xin. With my mentor Annette Insdorf at Telluride Film Festival after one of her infamous panels. Opening Day picnic at the 2018 Telluride Film Festival. Had the most amazing time!!! Red carpet interview at 2017 UrbanWorld for Search Party. On the blue carpet in Bogota, Colombia at Bogo Shorts. Had to share such a beautiful poster. With Chantal Lian, Christopher Radcliff, Stella Meghie and Laura Gidrol at Champs-Élysées Film Festival Closing night party. Phone Calls premiere with cast and creators, Bonnie Wright and Martin Cohn. On the red carpet at the premiere of Phone Calls at Tribeca N.O.W. Attending the Tribeca Film Festival in style thanks to Sony Pictures Classics. James Pickens, Jr. from Grey's Anatomy hosts the 34th Annual Caucus Gala Awards. With composer Fatrin Krajka and writer/director, Jimmy Keyrouz. Holding the gold Student Academy Award!! On the set of my new film, Last Day in Paradise, shot in Paris, France. Search Party screening at Lincoln Center for the opening night of the 2016 Columbia Film Festival. Getting makeup done at Inglot for AfriMericans promo shoot. Pretty dramatic. Exciting new show that follows a group of young Africans in NYC. With Sharon Hope at the 2014 NYWIFT Muse Awards Luncheon. A selfie with Souleymane Sy Savane on the set of The Healer. Getting fitted for my next film. My costume designer Alina Uzlov did a great job of sewing this outfit for me.